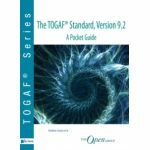 Minimum quantity for "The Open Group Architecture Framework TOGAF 2007: Incorporating 8.1.1" is 1. 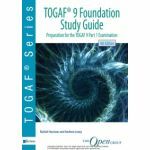 The Open Group Architecture Framework (TOGAF) is a framework - a detailed method and a set of supporting tools - for developing an enterprise architecture, developed by members of The Open Group Architecture Forum (www.opengroup.org/architecture). 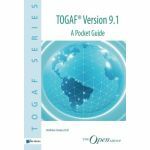 This 2007 Edition is based on TOGAF Version 8.1 with Technical Corrigendum U065 applied, also known as TOGAF Version 8.1.1. As a comprehensive, open method for enterprise architecture, TOGAF 8 complements, and can be used in conjunction with, other frameworks that are more focused on specific aspects of architecture or for vertical sectors such as Government, Defense, and Finance. TOGAF may be used freely by any organization wishing to develop an enterprise architecture for use within that organization (subject to the Conditions of Use). PART I (Introduction) This Part provides a high-level introduction to some of the key concepts behind enterprise architecture and in particular the TOGAF approach. PART II (Architecture Development Method) This is the core of TOGAF. It describes the TOGAF Architecture Development Method (ADM) — a step-by-step approach to developing an enterprise architecture. 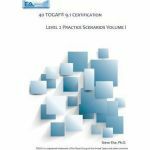 PART III (Enterprise Continuum) This Part describes the TOGAF Enterprise Continuum, a virtual repository of architecture assets, which includes the TOGAF Foundation Architecture, and the Integrated Information Infrastructure Reference Model (III-RM). PART IV (Resource Base) This Part comprises the TOGAF Resource Base — a set of tools and techniques available for use in applying TOGAF and the TOGAF ADM.